Pakistani President Pervez Musharraf resigned his nation's top political office this week, plunging the South Asian nuclear power into a leaderless position with several personalities engaging in a struggle for control. 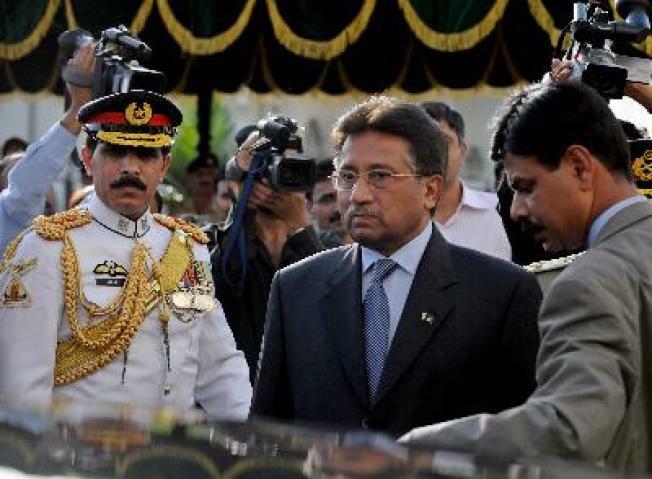 Musharraf stepped down when threatened with impeachment and prosecution by a ruling coalition that opposed him and after he fired a number of judges in an attempt to retain his office. Since the former army general, who seized control of Pakistan following a coup in 1999, resigned, violence has broken out in the northwest territory of the country and dozens have been killed in political violence. The deposed leader was perceived as a staunch ally of the U.S. in the war on terror, which led to opposition from insurgents and al Qaeda members who inhabit the border land between Pakistan and Afghanistan. Internal opposition was also generated by Pakistan's security services, which are generally viewed as having Islamist sympathies. Musharraf took a hard line against insurgents and survived an assassination attempt by terrorists last year. The coalition that called for his resignation has taken a softer line against terrorists and are attempting to broker a peace deal with insurgents. Prime candidates to replace the president are Nawaz Sharif, the three-time prime minister ousted in Musharraf's 1999 coup, Mohammedmian Soomro, the current interim president, and Asif Ali Zardari, the co-chair of an opposition party and the widower of Musharraf opponent Benazir Bhutto. Pakistan is one of South Asia's few possessors of nuclear weapons. It borders Afghanistan and also fellow nuclear power India, with which it has a long-running territorial conflict over Kashmir.